Have you heard the saying that you get into Mary Kay and Mary Kay gets into you? It describes how immersed women get in th Mary Kay culture. It’s meant to be a fun phrase to throw around, but it just shows how hard-core women become about the cult of Mary Kay. As the saying goes, we become Mary Kay, not the woman, but the “dream,” the “vision,” the “company.” So much of our day is consumed with Mary Kay, it becomes an obsession for many. Once again, I am writing as a former director, I can’t remember what being a consultant felt like. 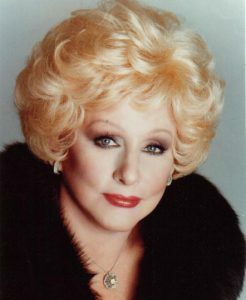 When I became a director, I had only been in the company for a year, and my goal was to work full time as a MK director, because that’s what Mary Kay herself wanted for her directors. My initial goal was to quit my day J.O.B. and get on to the business of becoming wildly successful and get this nsd thing done quickly. I had pretty much succeeded in everything I had tried before, so I assumed this would be no different. It was very different, but that’s not what I want to talk to you about today—we’re going to talk obsession. When someone becomes “assimilated” into MK (by the way, “Assimilation Week” is what new nsd’s go through) we begin “doing” MK 24/7. This means all thoughts, plans, dreams, interactions, friendships, travel, sales, customer service, church work, day jobs, hobbies, sports activities with children, spouse’s business trips, grocery store trips… EVERYTHING we do revolves around Mary Kay. Trips to the pediatrician? Pass out a book. Orthodontist? Pass out a book. Teacher gifts? An apple, a hand cream and a book. I know you all understand this, and again I use the word obsession. Do you remember dreaming about MK? That was a special time, and when you reported that to your senior or your director buddies, that was somethin’! YOU GOT IT! It is very much like people who are really working on learning a second language—when you dream in that language, you are considered fluent and it’s a big deal. With MK, this “fluency” translates into losses. They are subtle at first. We lose some friends—they don’t get it, and they are no good to us unless they can help us with our businesses. We lose our ability to talk about anything that is not related to MK. Everything it seems, can tie right back into our businesses and MK. Gas prices? No biggie, it’s a deduction. Recession/economy tanking? Thank God, MK is recession proof! Winter coming on? Increased need for body moisture! Running out of money? ATM is in the inventory, call a customer! IRAs losing money? Our “IRA” is in our recruits! Need more money? Recruit! More month than money? Sell and recruit! We lose our personal identity, but we are MK sales directors in the TOP 2% of the company and that’s something! We wear the suit, we run the meetings. We are the experts in money and inventory management, skin care professionals and make-up artists. We change people’s lives. We are the only Bible some women may ever read. We sell the sizzle, and our life is the one that others long for and want for themselves. Our sister sales directors are our best friends for life. We know more about them than we knew about our other friends from our previous boring predictable lives. There are no boundaries. Everything is shared. We are all in this together and we are all going to the top together! They understand your obsession, but they call it “Bee-lief.” (Which is all about the stupid MK bumblebee story.) We avoid negativity, and compare notes constantly on the next best book or video that will change everything. We tell each other that none of us will EVER give up, and remind ourselves that the only women who don’t make it in MK are those who quit. We lose money. But, that’s okay, there are lots of deductions and besides, we know have to spend money to make money. We know we aren’t the only ones chained to the computer the last day of the month, with an array of credit cards to be used to “top off” production, if necessary. Thank God for the fact that four cards may be used for each order, so it can be $50 on this one, $280 on another and so on. Whatever it takes. We are the best consultant in our unit, and we can sell our way out of anything. Bad month? No biggie, work harder, believe more, and it will turn around. Look to the experts for advice. Pray more. God holds MK in the palm of His hand according to Stacy James, so it becomes a matter of our belief and trust in God’s plan for us. Never give up. We lose hope. And ambition, momentum, belief, self esteem, deserve level and sleep. What happened? What changed? Maybe lots of things, maybe nothing we can put our finger on. An epiphany of sorts. We blame ourselves, of course. We were taught to blame ourselves. There can’t be anything wrong with the company or the marketing plan. We believed, and we were losers and failures and it was our fault. And it wouldn’t be so bad, but to rub salt into the wound, we are incapable of doing anything other than MK. It’s all we know any more, it’s what and who we have become. It defines us to our souls, and it’s not working. We can hardly remember who we were before MK. Negativity runs our lives, except, we are beginning to believe that the information we are receiving rings true, and truth is not negative. Is it really satan? Or is it God? How do we tell? Our sister directors counsel us to stay away from “negative” websites, and read the Bible. Our nsd’s tell us to recruit. Our senior directors tell us to work the numbers, quit feeling sorry for ourselves and to work more and focus. All we can focus on is lack. We start thinking. Did we frontload? Did we skirt the truth? Did we inflate our incomes and potential because we believed that what we talk about we bring about? Did we buy into prosperity theology and assume that our goal posters were in fact the way our lives were going to play out? Did we spout clichés and factoids instead of honestly answering our new unit member’s questions? Did we pooh pooh their concerns with the use of platitudes? Did we train everyone in our units to the best of our ability or did we tell newbies that all they had to do was squirt and read? Did we recruit their warm market out from under them? So many questions. So much self-examination, blame and guilt. Next: So, I got out. Why do I still feel so bad? Whew! That is some scary sad way of life described in the article, especially since MLM is an inherently flawed business model. Not only are you turned into a zombie no one likes, you are doing it all for predestined failure. Best friends for life – ha!!!!! I was dropped so fast, my head was spinning. These were people I knew 10 years!